One-click setup. Then you're all set. 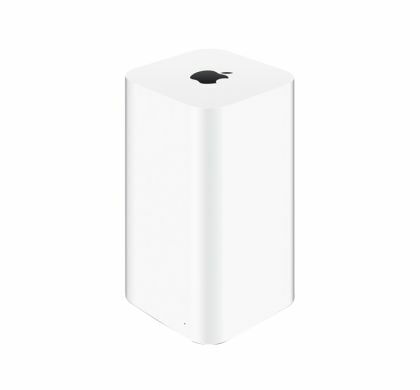 With AirPort Time Capsule, you get a superfast Wi-Fi base station and an easy-to-use backup device all in one. And backing up your data couldn't be simpler. Just set it up once and AirPort Time Capsule does the rest. It works with Time Machine in OS X to back up your Mac automatically and wirelessly, so you never have to worry about losing anything important again. Every photo. Every file. Every song. Even your apps and OS X settings are saved. 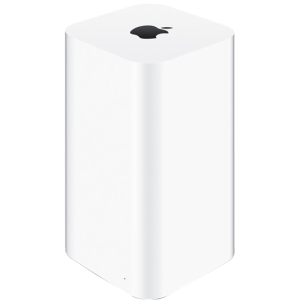 AirPort Time Capsule stores it all - up to 2TB or 3TB of data.